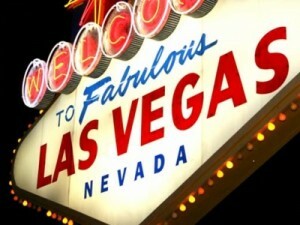 Casinos are the last frontier for smokers in many states and Las Vegas is considered to be ground zero. That is because many tourists visit Las Vegas from states that have blanket smoking bans. Walking into a smoky casino can come as a shock to these guests, even though Nevada is far from the only state that still allows smoking in casinos. There are 29 states that ban smoking in bars and restaurants. Many of these states that have legalized gambling give special exemptions for smoking to casinos and off track betting facilities. This is due to the perception that gamblers are more likely to be smokers and that those customer are more likely to spend less time and money gambling if it is banned. There are valid arguments on both sides of the issue. There is no denying the health effects of smoking. Unlike some other unhealthy activities, there is evidence that second hand smoke also has the potential to affect those in the vicinity. This is a major concern to employees. This is the premise behind smoking bans in more than half of the states and most of the rest of the world. There is a reason that casinos have managed to dodge smoking bans in many states. Gaming revenue is often lost when smokers are forced to go outside to light up. Lower gaming revenue also means lower taxes paid to states and local governments. Casinos often point to the loss of gaming revenue as a reason to allow smoking in their establishments. A 2009 study by the St. Louis Federal Reserve backs up their argument. In 2008, Illinois banned smoking in casinos. Gaming revenue suffered an immediate 21% drop, according to the Federal Reserve report. Anti-smoking groups blamed this drop on the recession, not the smoking ban, as this coincided with the Great Recession. The Federal Reserve pointed to evidence that contradicts this claim. Every state with legalized gambling that borders Illinois went sideways or saw an increase in gaming revenue in 2008, according to the Federal Reserve report. The theory is that Illinois smokers simply went across the borders to Iowa, Indiana and Missouri, where smoking is still legal in casinos. This is a reasonable explanation as most gaming in Illinois takes place along state lines on riverboats where casinos in competing states float in the water just a few minutes away. Illinois is not the only state to see gaming revenue plunge after a smoking ban was enacted. South Dakota banned smoking in bars and casinos in 2010. South Dakota bars are allowed to spread video poker, slots and keno through lottery machines. South Dakota video lottery revenue plunged 20% in the years after the smoking ban. South Dakota was not affected by the recession, meaning smoking opponents had a hard time blaming this drop on the economy. Deadwood is South Dakota’s commercial casino center. It was the third location for legalized casinos in the United States. Its gaming revenue only dropped 5 percent the first year after the smoking ban was enacted. South Dakota lottery officials have made attempts to recoup some of the losses. New machines have been approved. Some of these devices are slot machines, as opposed to the traditional poker and keno on aging VLT terminals. Deadwood was able to lobby for higher bet limits. The max bet in the city went from $100 to $1,000 in 2012. This helped gaming revenue rebound. Colorado banned smoking in casinos in 2008. It suffered a similar fate. Its revenue plummeted by as much as 25%. Colorado casinos were able to successfully lobby for higher bet limits, more games, and 24-hour operations to offset losses attributed to the smoking ban. The bet limit was raised from $5 to $100 in 2009, while craps and roulette were added as new gaming options. Montana has video lottery casinos and poker is legal in taverns. Montana banned smoking in bars in 2008. Gaming revenue dropped 16% in the year after the smoking ban. Some states recognize this issue. Nine states specifically exempt smoking in gaming establishments, while at the same time banning it in bars and restaurants. These states are Connecticut, Kansas, Iowa, Michigan, New Jersey, Rhode Island, Maine, New Mexico, and Wisconsin. Tribal casinos are not usually explicitly exempted, but are also not under the jurisdiction of state smoking bans. Florida, Louisiana, Nevada, Pennsylvania, Arkansas and Indiana have legalized casinos that are exempted from state smoking bans that also exempt bars. A dozen states, several with casinos and/or off track betting, have no smoking ban at all. All but Oklahoma allow municipalities to enact local smoking bans, though local ordinances rarely target casinos. One local ordinance banning smoking in casinos passed just yesterday in Hancock County, West Virginia. This ban affects the Mountaineer Casino, the largest employer in the county. Absent a federal indoor ban, casino smoking is here to stay in many states, at least until the state legislatures address the issue. That does not stop the fight from anti-smoking groups to educate the public and encourage casino owners to end smoking in all gaming establishments. One such group is No-Smoke.org, which lobbies for blanket smoking bans in all workplaces. Nevada voters approved a statewide smoking ban in 2006. One portion of this ban forced bars that serve food to be smoke-free, even if minors were not admitted. This ban was widely ignored. In 2011, the Nevada Legislature amended this portion of the ban to allow smoking in taverns that serve food as long as minors were not allowed to enter the establishment. This shows the sentiment towards smoking in Nevada is not changing. It may be going in reverse. Smoking is a major nuisance to many people. Many nonsmokers still enjoy casino gaming in Las Vegas. There are a few options. All but one Las Vegas poker room is nonsmoking. Many Las Vegas poker rooms are located away from the main casino floor. Some are even enclosed. Arizona Charlie’s, a small locals’ poker room, is the sole holdout that still allows smoking. Table game players can request that the table be declared no smoking. All seated players must agree. This will prevent new players from lighting up, but does not cover neighboring tables. Many bingo rooms and sportsbooks are smoke-free or have large no smoking areas. The M Resort offers the flagship Cantor Gaming sportsbook that is entirely free of smoke. Some casinos, mostly in the locals’ market, have large nonsmoking slot areas. These include Red Rock, Rampart, Orleans, Westgate, and Sam’s Town. Arizona Charlie’s has a walled off nonsmoking slots area.